Photo: The restored Pompey Museum in downtown Nassau, Bahamas (Photo courtesy of Bahamas’ Antiquities, Monuments and Museums Corp.). 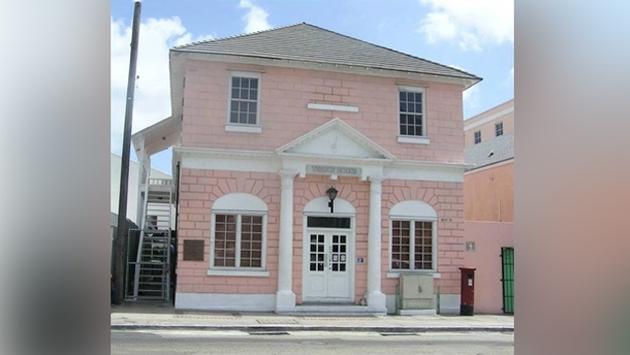 The Bahamas’ Pompey Museum of Slavery and Emancipation in Nassau’s downtown historic district re-opened this week following a December 2011 fire that gutted Venue House, the historic building that housed the Museum. Dedicated to chronicling the Bahamas’ history of slavery and emancipation, the Museum re-opened Nov.1 with “Wade in the Water,” an exhibit on the Peter Murrell, a slave ship that wrecked in the Bahamas in 1860 said Kim Outten Stubbs, chief curator of the Bahamas’ Antiquities, Monuments and Museums Corporation (AMMC), in a Bahamas Weekly interview. Two years have passed since officials at AMMC and the Downtown Nassau Partnership announced a $1.7 million restoration of the Museum, established in 1992 at Vendue House, a single-story arcaded structure considered Nassau’s oldest building. Vendue House was listed among Nassau’s public buildings in 1784 and is thought to date from the 1760’s. While 90 percent of the museum’s artifacts were saved from the fire, including rare books on slavery plus slave shackles, cloth dolls, coins and West African trading beads, the 2011 blaze severely damaged the Museum building and sections of Bay Street including the Old Nassau liquor store building, another historic structure. The fire started at the site of Nassau’s straw market tent, a temporary facility built following another large-scale fire in 2001 that destroyed the original straw market facility, an iconic Bahamas attraction. Straw market vendors finally re-gained a permanent home in late 2011 with the opening of a permanent, $12 million Straw Market building on Bay Street. Incredibly, the Museum had already been heavily damaged just over one year earlier in a May 29, 2010 blaze that also razed the Ministry of Tourism building. Alicia Oxley, an architect at the Museum, said AMMC partnered with the Bahamas’ the Ministry of Works to complete the restoration, which replicated the museum’s original design while adding several upgrades.